Refreshing Daily in God's Word: Daily Devotion: Why Are You Worried? Key Verse: Verse 28 - "And why take ye thought for raiment? Consider the lilies of the field, how they grow; they toil not, neither do they spin:"
Mark that word thought. It means to be anxious or to worry. 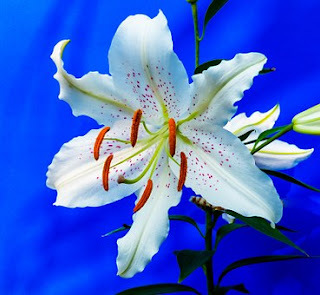 If God takes care of the lilies of the field, shall he not much more provide for His child? Warren Wiersbe says that 98% of everything we worry about never becomes reality. Spurgeon continued by saying that Christians stand in the narrow pass of today. If they choose to battle every difficulty at once, they’re sure to suffer defeat. But if they trust God and take their troubles one by one, they will find that their strength is sufficient. ✞ You can worry or trust God, but you can’t do both. Which will you choose?